There will likely be cheers and toasts all around as the male members of the Costa Mesa City Council and their sycophants belly-up to the bar at Skosh Monahan's when they hear the news that Billy Folsom has decided to retire. Folsom, who has put more than three decades into serving the residents of this city, will retire after more than 31 years on March 4, 2013. Although described pejoratively by one councilman not too long ago as a "Jiffy Lube Guy", Folsom, in addition to spending long years keeping the city fleet - including the police cars and fire fighting equipment - on the road to help our public safety folks keep us safe, has performed duties not normally associated with the title "Equipment Mechanic III". While he was qualified to maintain virtually every piece of rolling stock in the city inventory, his skills and experience created opportunities for him to provide expert testimony at court relative to crime scenes, for example. He also has been active in the Costa Mesa City Employees Association (CMCEA), including a tour as that organization's president. He has been part of the negotiating team that met with city officials on contract issues. He's been described by folks on both sides of the table as a reasonable negotiator who always represented the employees well but also never lost sight of the bigger picture. When it was clear that the City needed help from the association he was there to help craft ways for that to happen. Helen Nenadal, current president of the CMCEA, said she will be sorry to see him go because he was always at her shoulder helping her through the tough times - especially the past couple years. She told me he always represented the employees with class and tenacity and they trusted him to present their side of issues with courtesy and clarity. She emphasized that he always put the employees first. When asked about her reaction to Billy retiring councilwoman Wendy Leece said, "Billy's passion for his job, his city and the people of Costa Mesa inspires all of us to be true to ourselves and to stand on principle no matter the cost. 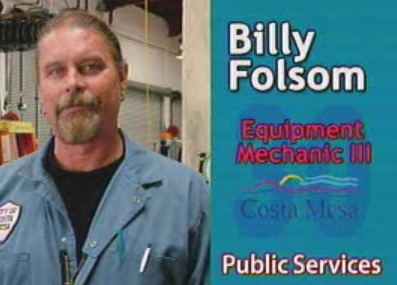 Thank you Billy for serving the good people of Costa Mesa for more than 30 years and maintaining all our vehicles. As a resident, I hope you will continue to stay involved in city politics." NO COMMENT FROM "THE BOYS"
I did not solicit comments from other members of the council for very obvious reasons. Maybe the best one is this photograph, taken the evening last year when Billy received his 30 year service award. As he stood with the other recipients for the obligatory group photograph he opened his sweat shirt to reveal his t-shirt with the clear statement of how he felt about how that council was doing business. Chuckles throughout the auditorium could be heard and, even though the message sent was accurate, it did get him reprimanded. Such is life in the trenches among Costa Mesa city employees lately. Cauldron - How many years with the City? I think it's 31, right? Cauldron - What was your progression - first job, etc.? Folsom - I started out as a Mechanic l after a year Mechanic ll after another year Mechanic lll spent 18 months as a Supervisor though they stiffed me on that. Cauldron - Best part of your experience as an employee? Folsom - The best part other than having the honor to serve the people of Costa Mesa was the fact that as a shop we were asked to do a whole host of projects that no other vehicle shops would normally do. An example would be fabrication of a number of things like roof ladders, trailers, camera systems for the jail.I built many "bait cars" and "bait bikes" that were remotely controlled some of which are still in use. I also built our armored SWAT vehicle from a Brinks armored truck. It was always fun working with people from the DEA to help them find dope in drug runner's cars and I assisted in somewhere near 300 accident investigations as a mechanical analyst which included many high profile cases. I had to testify in court against my friend Sid Soffer and had to give many depositions in relation to many fatal traffic accidents. Of course other than the variety of duties which always kept things fresh and challenging were the great people I worked with, to many to mention and I would forget someone if I made a list. Cauldron - Worst experience (s) as an employee? Folsom - There have been a few grizzly investigations dealing with human remains especially when children were involved but the worst thing has been the systematic dismantling of a great organization, whether by design or default, in the last two years knowing the whole time it could have been avoided with must less heartache and expense. To see so many really good people leave for greener pastures and the sadness of my fellow workers who felt betrayed and confounded. I absolutely hate leaving my co-workers in such a state of uncertainty but I had already put my retirement off a couple of times and a new business and other family matters require most of my time so it was time to pull the plug. Cauldron - How will they replace you, with all the varied things you do? Folsom - No one is irreplaceable and there are others out there with many of the same skills and even more that could pick them up in short order. Cauldron - You were President of the CMCEA, right? When, and for how long? Folsom - I was President of the CMCEA a few times. I think it totaled 18 years or so. Cauldron - Your take on Mensinger's COIN plan - to have negotiations out in the open? 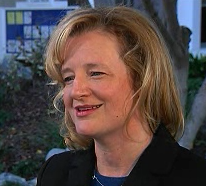 Folsom - The biggest problem with the two cents ordinance is that it only goes half way. It should have included all contract negotiations with all vendors with all communications between council people, commission people and contractors open to public scrutiny. Failing that it's just a publicity stunt. Cauldron - Plans for your retirement? Folsom - I am starting a new business, Dumb Biker Visions which will be essentially a photography business with the core being stock shots and the fruit promoting local bands and small business. I have one son starting a business also who I hope to help get off the ground then I'm planning another business if all goes well but all this pales to the vast Honey Do list that has amassed over the years. I will still be doing the biker thing and posting on Facebook and it will all tie in to the photography thing and maybe get expanded to a little video log ala Huell Howser. Cauldron - What will you miss, if anything, when you retire? Folsom - I will miss interacting with my co-workers and getting projects completed knowing it is keeping the city as a whole running. I hope not to miss the people as I plan to hang with them as much as I can. Cauldron - Anything else you wish to say? Folsom - It's been a good run, I was "incorporated" the same year as Costa Mesa and hope the city celebrates all it's great citizens and heritage so we don't forget why we live here and in that vein I hope to see some of the new organizations like CM4RG stay active and keep Costa Mesa Costa Mesa. Who knows where I'll pop up. Billy later added that he neglected to mention that he met the love of his life eleven years ago, stating that he would not be where he is today without her and that he plans to do more surfing and is building a new skateboard for the park... watch out for that flying beard! Billy Folsom has served the City of Costa Mesa with dedication and distinction for more than half his life and will be missed. His creativity, flexibility, dedication and institutional knowledge will be very difficult to replace. We wish him well and suspect we've not seen the last of him. I left the best part of my tenure out, I met the love of my life 11 years ago. Kim, I would not be where I am without her. She unselfishly helped me raise my kids and put up with and even encouraged adopting many strays over the years both of the animal and people kind. A bigger heart I've never seen. It's my goal to marry her proper and we'll have yet another party. Dang if that's not tears on my cheek. You've got the heart, the brains and the class of a first class act all around, except you're no act, you are 100% the real deal. Thank you for your years of service and for your honesty in the interview you gave Geoff. Hi Kim too, here's wishing the two of you a wonderful future! Thanks for all you've done. See you around town..
Moving in the right direction. Shedding those $100k a year equipment guys, a good move. Most cities outsourced vehicle maintenance years ago. Thanks for your service, but it simply doesn't make sense to pay guys six figures, a pension and sweet retirement to work on cars. Most other cities in OC have figured that out. Why haven't we? Mesa Athletics: Appreciate your sentiments. I think it is a great idea to put all of the police, fire, etc. employees behind the wheel of vehicles and equipment maintained by the lowest bidder! Who cares about training, quality, reliability of equipment etc. -- all that matters is cost! Think about that theory when you have an injured athlete on the field in need of medical aide. Heck, why not just use day laborers for all the tasks? Could even extend that theory to the City management staff and council, might be a step in the right direction. Billy - thank you for your service, for continuing to expand the quality and quantity of services you provide to the staff of Costa Mesa and to the citizens of Costa Mesa. Your contributions will be sorely missed. Best of fortunes on your retirement endeavors. Mesa Athletics--this City will replace Billy, a $100k equipment guy as you say, with a $200k manager at City Hall and he'll then find vendors to send the vehicles that need to be serviced/fixed/maintained at a greater cost to the City, just ask the Fire Department about the fire engine that sat at the City Yard for 5 weeks before being sent out to get fixed. Great way to take care of the equipment. "Moving in the right direction. Shedding those $100k a year equipment guys, a good move. Most cities outsourced vehicle.."
Let's outsource underemployed developers, underemployed property managers, and underemployed car washers posing as improvers. Race-obsessed weirdos who wear the same clothes every day also. Good Luck Billy. Thanks for your service. As one on the side of the "boys" (since the "girls" seem to want to frame everything as boys vs. girls which is immature and ridiculous btw)(what came first: boys vs. girls OR girls vs. boys? ), your opening sentence sets a tone of speculation about our response and those of our sycophants. Answer: yawn. Knew it was coming. we can now outsource this w/o hurting Billy . Of course no comments by the boys, weren't asked. Nice job of framing this story up as boys vs. girls and pure negative speculation about the boys. Geez....it is ON! Hey Mesa. 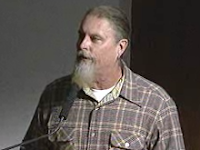 Billy has served the people of Costa Mesa and the city employees in many capacities for over 30 years. i personally find it tasteless for you to air that view (whether you believe it or not) in the middle of a parting interview of Billy. If you HAD to say it..you could of at least signed with your real name. Smells strongly of coward to me. To Mesa Athletics - Thank you! Obviously you are a guy in the know. Wouldn't you agree that we should shed councilmen who wasted millions in legal fees and then pretend that their golf "boondoggle of kickbacks" is for the benefit of youth sports? I am sure you are an athletic stud, but can't think of a sport that doesn't require heart or balls. What DID you play? Best wishes to Mr. Folsom. He had GAME. 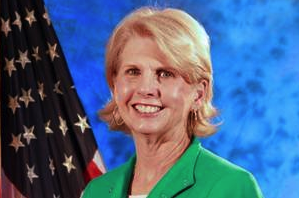 Its amazing the tactless comments by idiots that cannot even say congrats to a retiring tireless city worker. They will spend much more in maintenance even outsourced, than they paid Billy. Shows the incompetence and pettiness of those in charge. Congratulations Billy. You have worked wonders for this city and they will be at a loss now, even though they will never admit it. You are a class act who deserves better, and Kim is a wonderful lady. You both have great things in store. Enjoy that bike and know that I wish I could still ride. Hey Mesa and Fed Up, you stay classy! Thanks Billy for a long and distinguished career. I for one think that your actions and activities as a "union" rep should forever be separate and distinct from your distinguished service to the City. Regardless of where anyone stands on pensions or outsourcing, the City has lost a fantastic employee and you will be missed. I have not know Billy Long but have met many folks who have. This man has been a dedicated, hard working, knowledgable city employee, we will never find this type of individual in today's workforce. Can he be replaced, yes we all can. Will his replacements, yes, replacements have the dedication, skills, work ethics, love of our city and pride in their work. I doubt it. Good Luck Billy. Looking forward to keeping up with your new venture. I am proud to know Billy, he deserves accolades not your insults. Billy, you and Kim are two of the kindest most open minded people I've ever met! You have been an exceptional employee and representative for your coworkers. Friendships were forged by the fire of March 17, 2011 when city employees and residents came together. I wish you a happy retirement. To put it simply. Mesa Athletics is a liar or a total ignorant fool. This is how some of these lowlifes roll. They just lie and make up things to try create anger toward decent people. It's sad and pathetic these people can't discuss problems and issues honestly and with class. On the City's website you will find the employee salaries. Billy's total compensation 2011 (salary + retirement) is 93K. This coward Mesa Athletics(probably never played sports, just a poser or living through his kids) states its 100k , a pension and sweet retirement. Do you even have a clue what you are talking about Mesa Athletics? Because your comment is nonsensical and assinine and shows your HUGE ignorance to the subject. And I am not just talking about you mistating the amounts. You exhibit a lack of understanding regarding pensions and sweet retirements with your comment too. I am blown away by the stupidity and ignorance by so many who talk like they know what they are talking about when they have no clue. Or maybe he is, as I suspect, just a flat out liar trying to create divisiveness. Is that you Colin? You want to solve and fix the problems... truth and honesty in the discussion is the best way. Not the lies and attempts to create hate and anger exhibited by the likes of Mesa Athletics. I love the Athletic Programs at Mesa just not the jackazzes like Mesa Athletics. Of course as I said he probably is just a poser and never stepped on a field as we have seen he is all too willing to lie about other things. Thank you, Billy, for your years of service to Costa Mesa. One good thing that came out of the turmoil of the past couple of years is that I got to meet you, whom I greatly respect for your honesty, smarts and capability. I wish you a happy retirement and many happy years. not a sounding board for their lies and hatred. stop the war on women in costa mesa, quilt with us for Leece, Saturdays in March. Welcome to retirement Mr. Folsom! I too worked for the city but put in less time on the job than you. It's always very easy for people to point fingers at someone and say "we could have done it cheaper." At the time they sought you out and recruited you for the job because you were the best qualified person. Be proud of the service you provided the citizens. You and I know that you earned your retirement and that "we" worked hard at what we did and were unselfish as we did it. Congratulations Billy! Happy Retirement Mr. Bill...Sounds like you have a GREAT plan in place to stay busy and follow your passion with photography, bikes and family. Thanks for all your support through these crazy carpetbagger times!